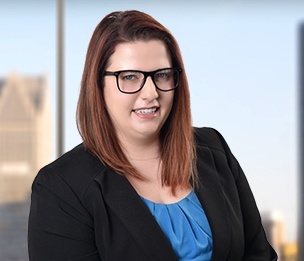 Andrea Frailey is an associate in Dykema's Detroit office. Ms. Frailey focuses her practice on labor and employment and litigation matters. Ms. Frailey previously worked as a student attorney and a student supervisor in the University of Michigan Law School's Low Income Taxpayer Clinic and Unemployment Insurance Clinic. Ms. Frailey also worked as a student attorney in the Michigan Environmental Law Clinic. Ms. Frailey was awarded the Carl Gussin Memorial prize for excellence in trial work for her clinical work as a student attorney. While in law school at the University of Michigan, Ms. Frailey co-founded the Gender Violence Project at Michigan Law where she served as Treasurer and Mentorship Chair. Additionally, she volunteered as a student attorney at the Michigan Family Law Project. While Ms. Frailey was an undergraduate at Michigan State University, she worked as a judicial intern for the Honorable Darlene A. O'Brien and the Honorable Julia B. Owdziej at the Washtenaw County Trial Court.